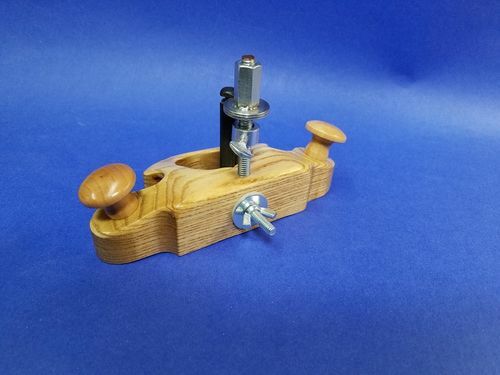 I saw a number of very nice router planes in the projects section and really wanted one for myself. 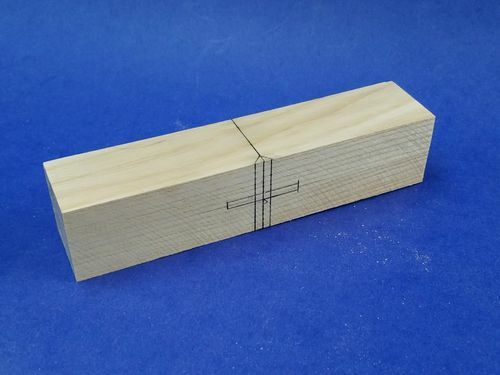 I am not normally a hand tool worker but this is a great tool for a lot of things. I really like the ones made by Derek Cohen and also Stumpy Nubs. 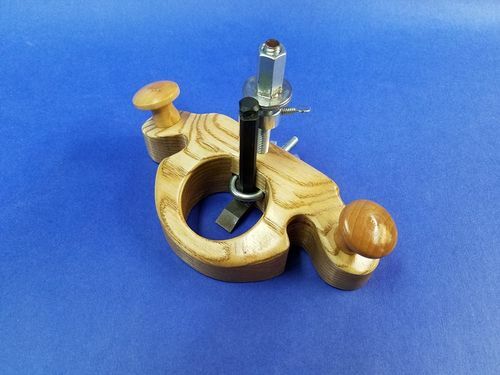 I ordered a couple of the router plane blades from Lee Valley and I tried making one and it did not go well. 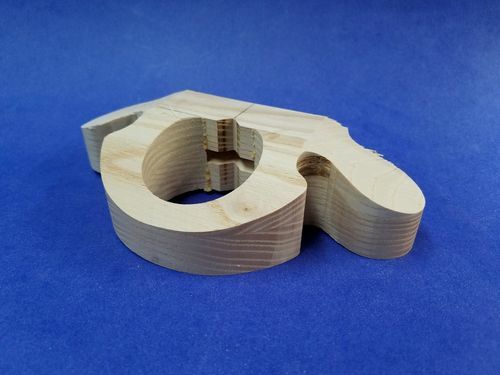 I had problems filing the V groove for the cutter to sit. It seemed that I could not get it perfectly straight up and down and to keep the cutter from moving. 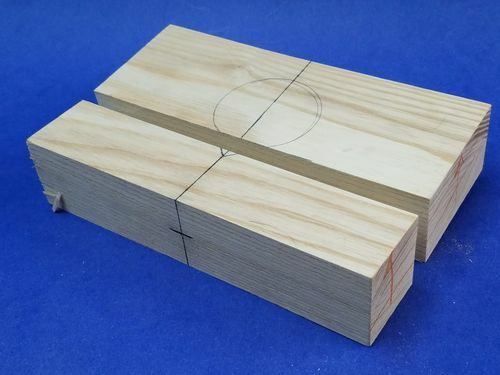 I came up with another method of making the plane and the groove for the cutter. I started off with a block of ash that was about 1.5 by 3.5” by 7”. 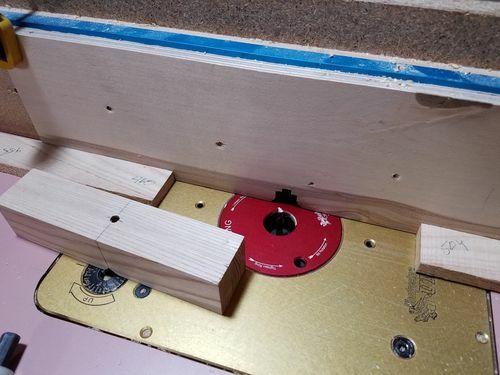 I marked the location for the large hole, the groove and the area for the eyebolt to go through and then cut the block in two on the table saw. 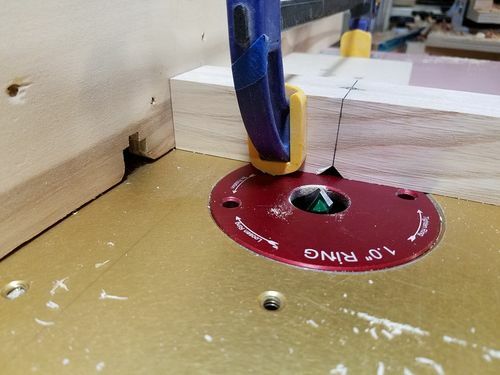 At this point, I took the smaller piece and laid out where the groove for the cutter needed to be and also the slot for the eyebolt. At the router table I used a “v” shaped bit to cut the groove for the plane iron and then a straight bit to cut the slot for the eyebolt. 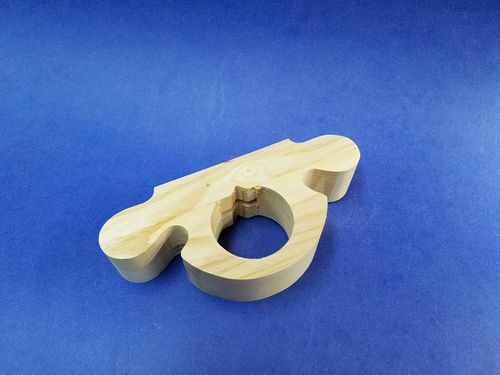 After this, I went to the drill press and drilled the hole for the shank of the eyebolt. 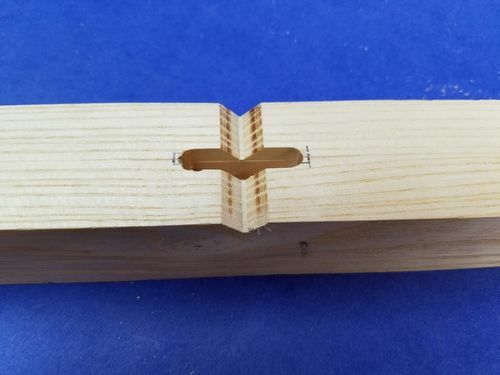 I drilled a hole in the larger piece with a Forstner bit and then glued the two pieces back together. After this, it was cutting the profile and then cutting the sloped front and sides. I made the adjuster nuts by soldering a couple of thin washers to a coupler nut and installed the 5/16” threaded rod. The SumpyNubs plan said to epoxy the washers and nuts together but I decided that it would be stronger to just solder them. It was finished with Danish Oil and then several wipe on coats of Poly. Looks good … thanks for sharing! Very nice. I probably would have used a hand saw to cut the v groove. Yes a hand saw could be used. 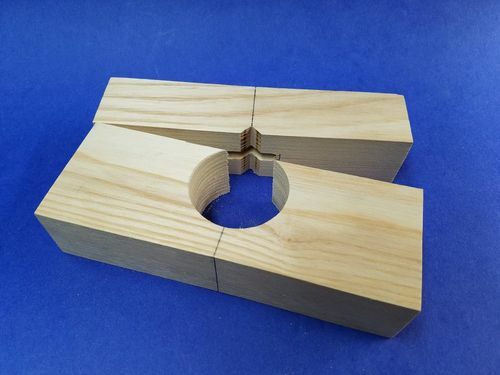 However, the method shown creates a uniform groove perpendicular to the base. 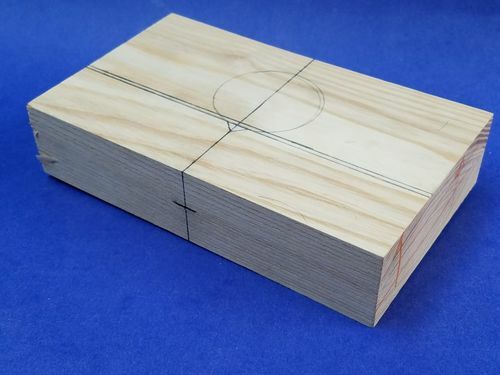 I am not skilled enough to create such an exact groove by hand.